I can not remember the last time I had black hair color. Maybe it's because I love my hair with color too much that I haven't decided to go black just yet! 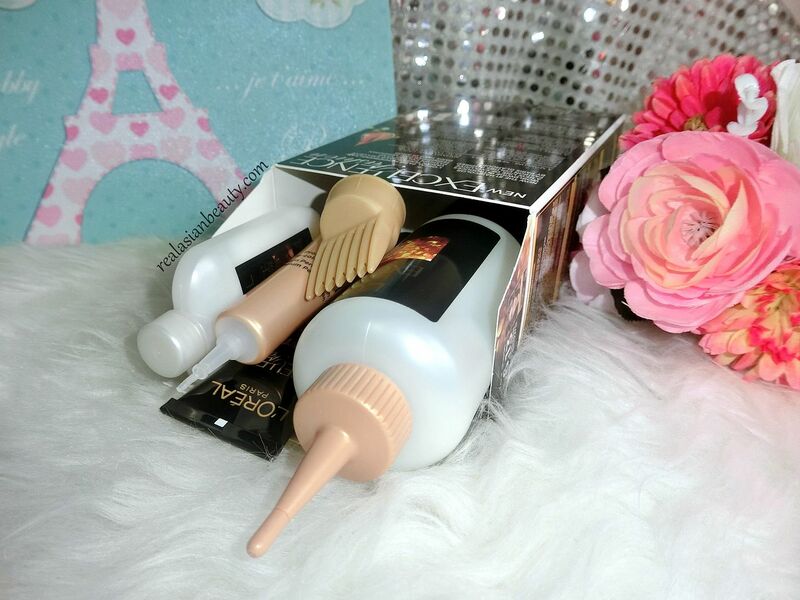 Because I color it too often, I have also tried a lot of hair color brands! 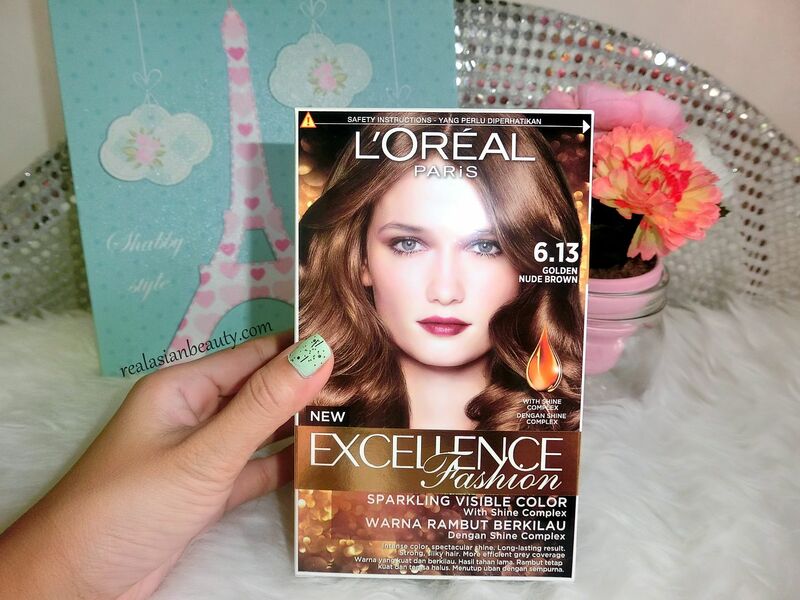 Today, I will review L'oreal Excellence Fashion Hair Color. 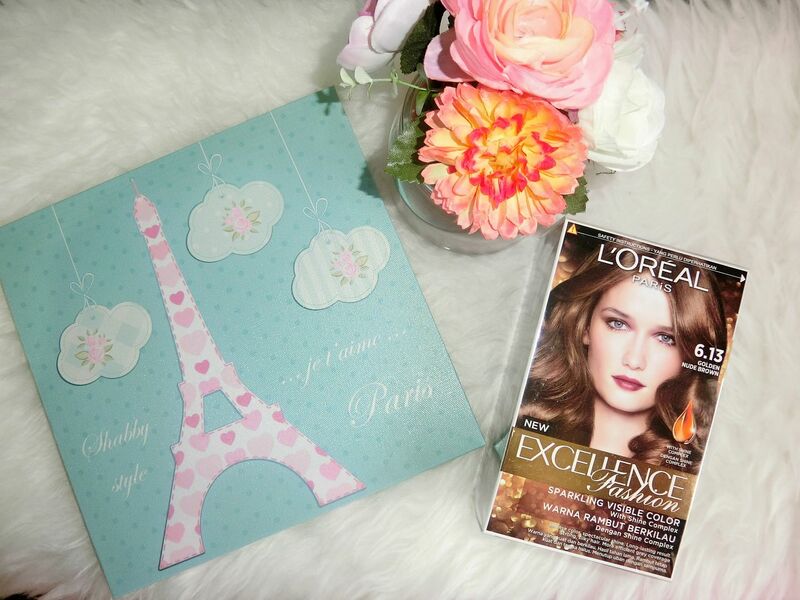 This is one of the newest hair products of L'oreal. 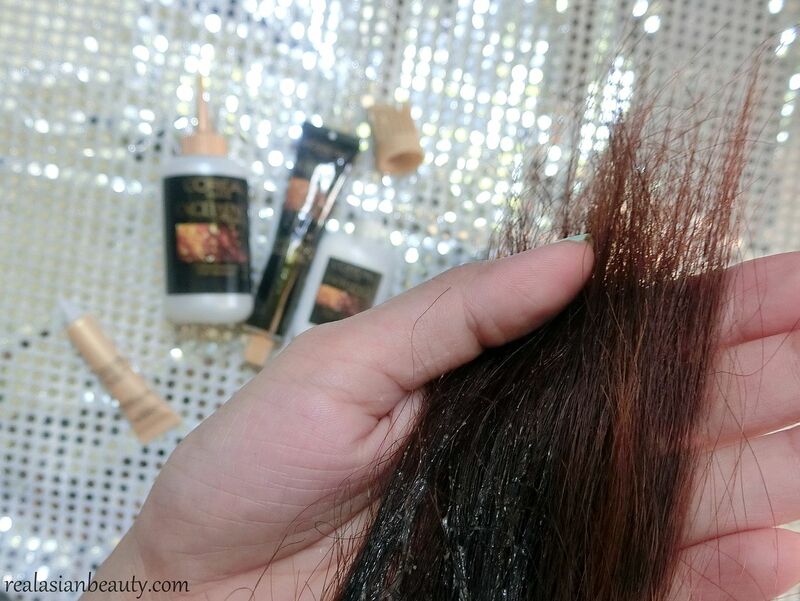 This particular hair coloring brand has variants of color fit for the trendy and edgy people! Why? Because the colors are so rich and vibrant! 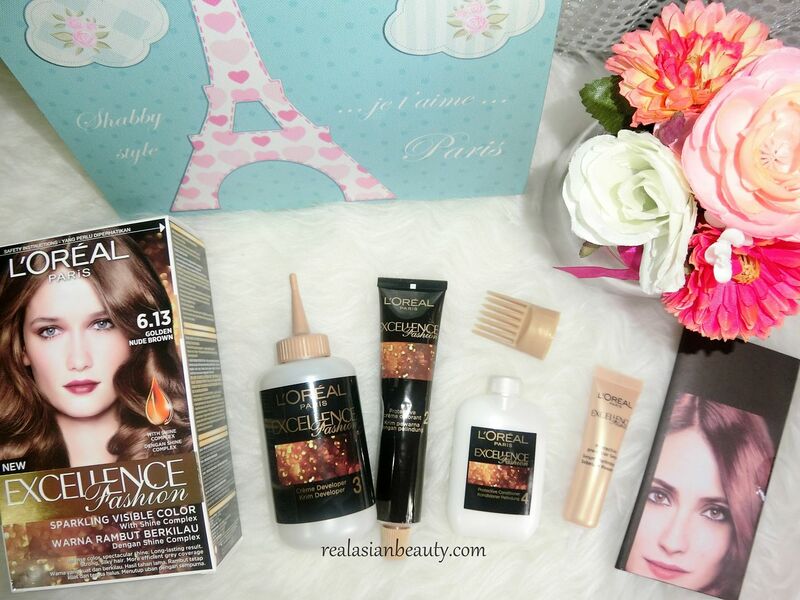 The L'oreal Excellence Fashion is a complete set of D.I.Y. hair color. What I like about it is that it comes with a color applicator brush that sticks to the bottle. I always color my hair on my own, without the help of other people. The most difficult part is reaching hard-to-reach areas like the crown of the head and the nape. But with this brush applicator, I am sure that reaching those areas will now be a breeze! 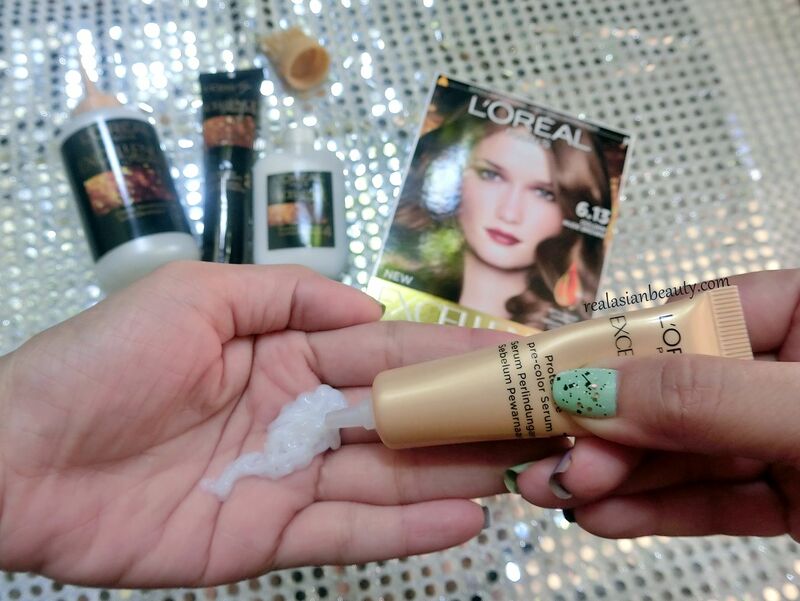 Step 1 : Squeeze generous dose of the Protective Pre-Serum into the hand. 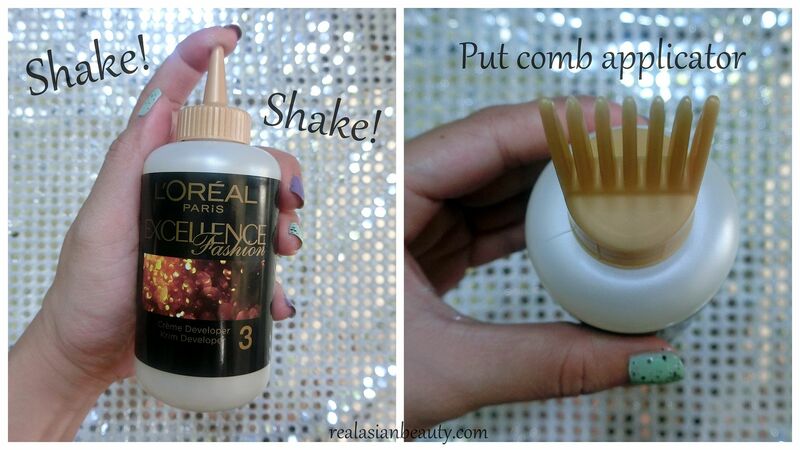 Apply it to the lengths and ends and then leave it in while you color your hair. This Pre-Serum will protect that hair from getting damaged. 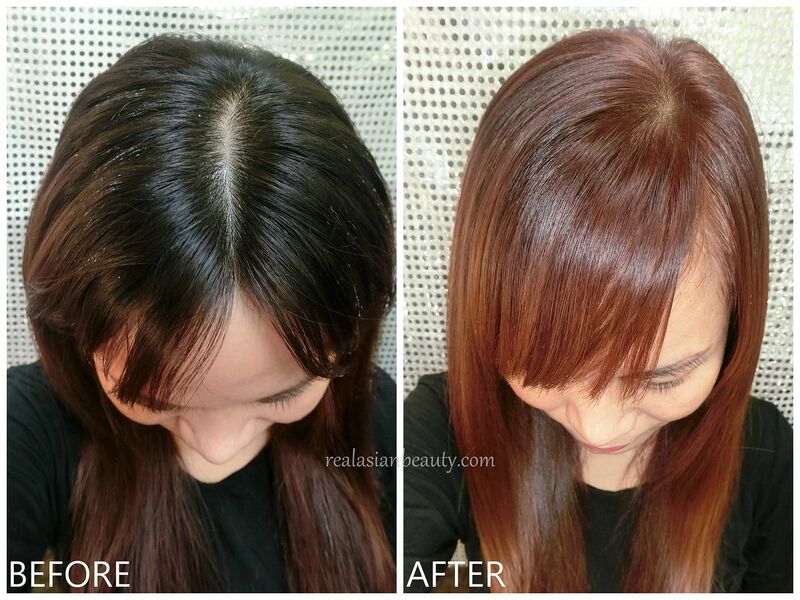 The ends and tips of the hair is usually the part that gets damaged when coloring the hair. The Pre-Serum will help minimize damage. Step 2 : Mix the color. Pour Creme colorant into the Developer bottle. Step 3 : Replace applicator cap and shake vigorously. 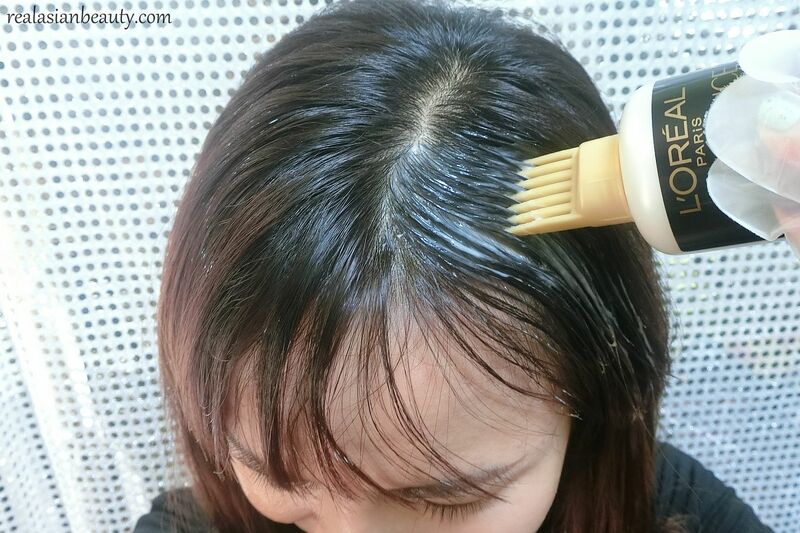 Step 4 : Place the comb applicator to easily glide through hair and to ensure equally distribution of colorant on the hair. 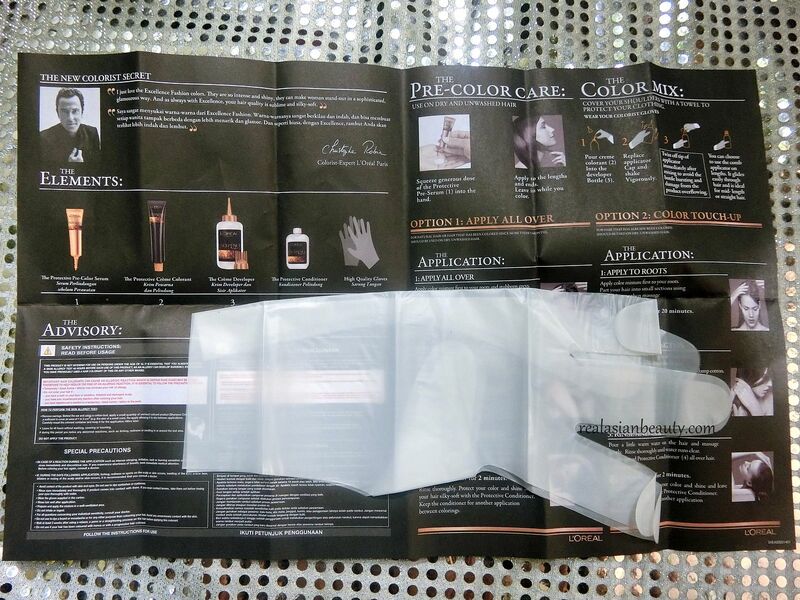 *Be sure to wear your Colorist Gloves! Step 5 : Apply color mixture first to the roots and/or grey area. Then, part your hair into small, even sections using the applicator comb. Lastly, spread it all through the hair. LET IT DEVELOP FOR 30 MINUTES. Step 6 : Rinse hair then apply generous amount of the Protective Conditioner. Rinse thoroughly. Annnnnd, this is how my hair looks after coloring! I have been wanting to try "Ash" shade of hair color. This one is perfect because it's not too Ash-y and not to bright! My hair was soft and shiny, even after coloring! What I liked the most is that my hair did not get dry or felt damaged at all. 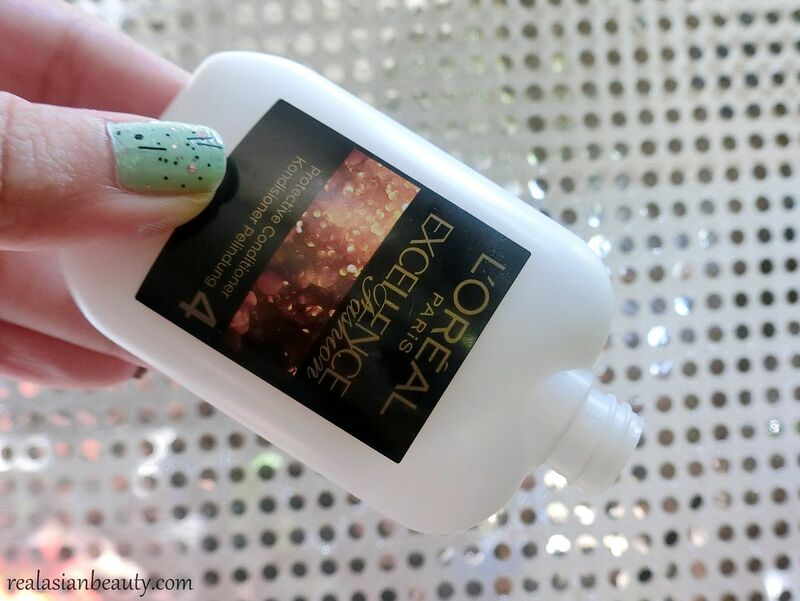 In fact, it was smoother and silkier after using this hair colorant! It could be because of the Protective Conditioner which was so, so good! I was able to use the product in the bottle for 3 times. So, the conditioner was probably one of the reasons why the colorant didn't damage my hair. 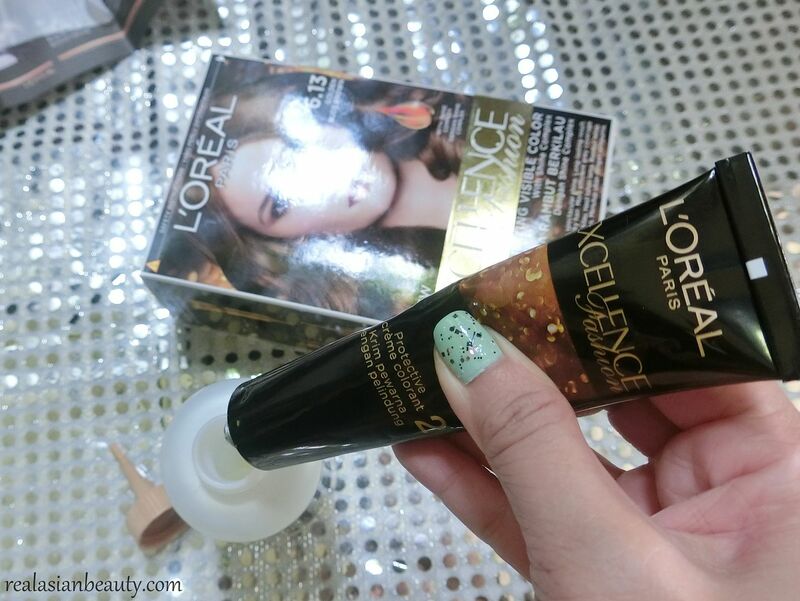 Nonetheless, it is a good product from L'oreal! Go ahead and try it, too! 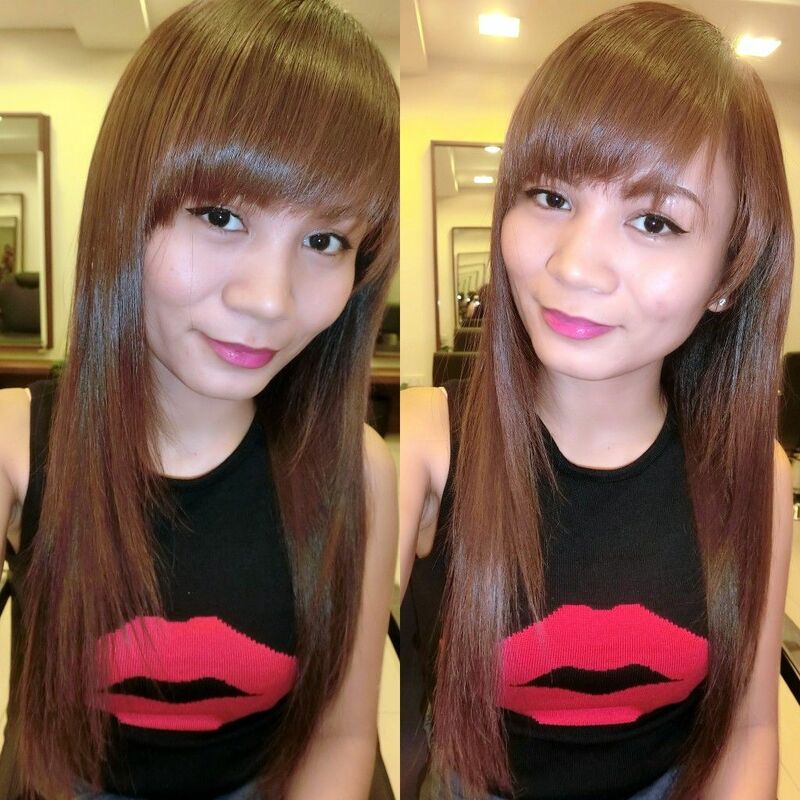 What do you think of my new hair color? Do you think I should keep coloring my hair or go back to black for once? I value your opinion so let me know what you think by leaving a comment below!